Phoenix are all about value. 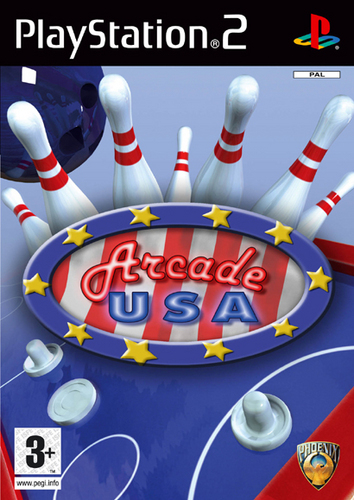 This compilation has two games in it - air hockey and ten pin bowling. Does two items count as a compilation? I would've thought two were a pair, three were a set and four or more were a compilation, but then I tend to think too much about these things. I also don't enjoy wearing pants, and they're referred to as "pairs", even though there's only one. If I hear about putting on a "pair of pants", I expect to have one set of pants for each leg. It's one pant comprised of two legs.. if you said "I'm putting on a pant" or "I'm putting on a pair of legs", it would make far more sense. See what I mean about thinking too much? 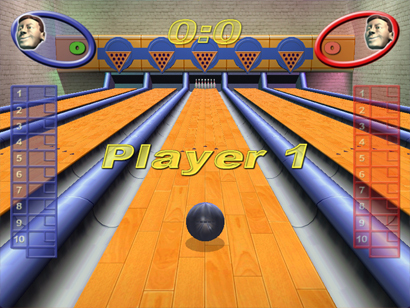 The ten pin bowling is implemented pretty well, if you've suffered a head injury and have difficulty with complex concepts. Position the ball (heh heh), click a button when the arrow, which moves left to right, is pointing the way you want the ball to go, click when the power meter hits the desired level, then a second to press a button for spin. Exciting, eh? The graphics are all right, I suppose, but who cares? 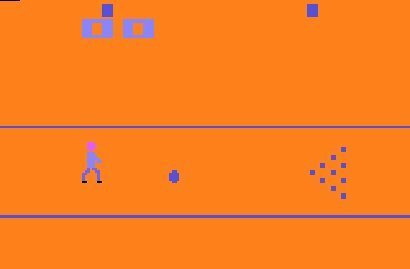 The first time I got an Atari 2600, I was enthralled by 2600 Bowling for 45 minutes.. the ten pin bowling in "Arcade USA" lasted for a full frame, but only for the sake of being thorough in my duties as your Phoenix reviewer. Also, I didn't have anything better to do. Unless adding another 50 pages to my thesis on pants nomenclature counts as better. As you can see, the graphics are pretty similar. Perhaps a slightly better use of orange in the 2600 version. The air hockey? It's a bit crap - looks effective enough, with a more or less first person view of the table (ie, not a side view). The unfortunate fact is that it's very difficult to get any kind of speed or spin on the puck, so it's rather boring and pointless. I let the AI get a goal on me, and was amused to see a replay of the game. A nice touch, and no doubt was a fun programming exercise for the developer, but realistically, who's going to be so enthralled by their awesomeness at "Arcade USA"'s air hockey that they're going to watch a replay? The best part of the game? The little heads representing the AI characters you're playing against look like Dan Dare on PCP. Good times.